NBC News’ “Today” has erected its portable pavilion for the 2018 Winter Olympics at the Gangneung Coastal Cluster of venues, right next to the Gangneung Hockey Centre. The location provides “Today” with a plaza background, similar to 30 Rock, though not much of a mountain view. This, of course, is not much of a problem given the time zone difference, with “Today” beginning its daily broadcast around 9 p.m. local time each night in South Korea. 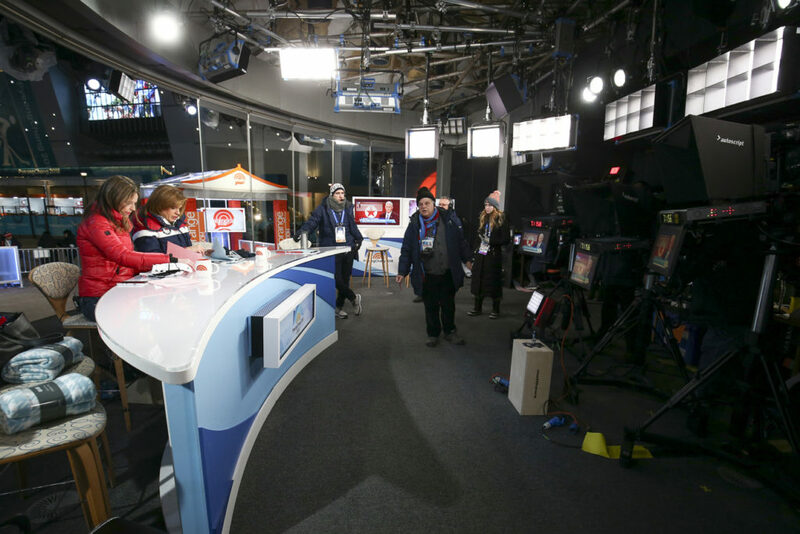 Savannah Guthrie, Hoda Kotb, Al Roker and the team of Natalie Morales, Willie Geist, Craig Melvin and Dylan Dreyer are present for the Olympic coverage, with the Orange Room also making appearances each broadcast. “Today” has shipped and reassembled the same pavilion structure every two years since the 2004 games in Athens, with the structure built by On The Scene Inc. The pavilion provides room for a small desk, standup area, cameras, lighting grid and production staff. 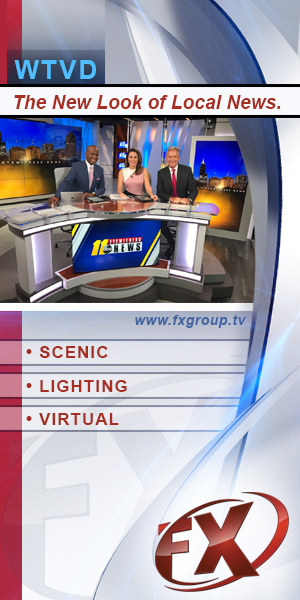 It also features sliding glass panels, allowing the show to broadcast no matter the weather conditions outside. An inside view of the Olympic Pavilion structure used by “Today.” Photos by Hagen Hopkins/NBC. 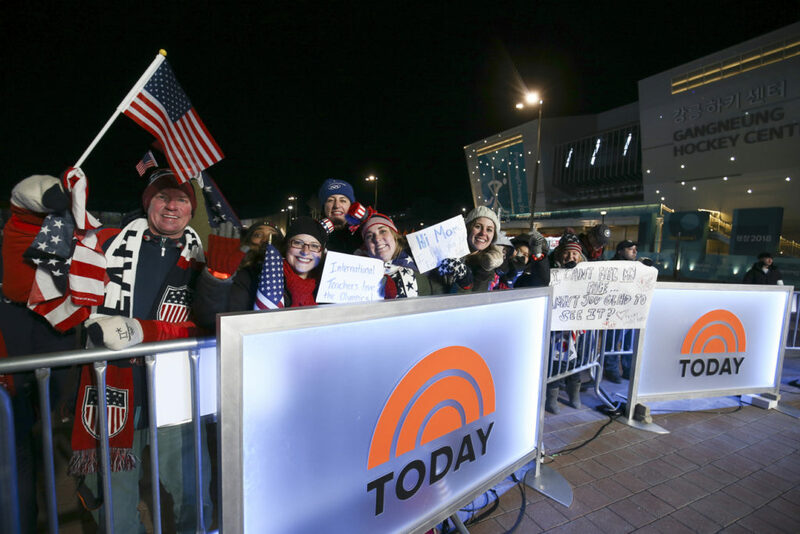 While the setup is largely the same as in past Olympiads, “Today” has covered the front of the set’s desk with a graphic matching the colors and shapes of the NBC PyeongChang Olympics logo. Next door, “Today” is also using a gobo to project its logo on another temporary structure, used by other broadcasters at the Gangneung location.